2D animated action platformer Nefarious has been confirmed for a Nintendo Switch release. This was announced through the News Channel section on Nintendo Switch. No word on release date or pricing yet but we’ll update you as it comes. Unleash a little anarchy! Tired of playing the hero? Experience the adventure from the other side of the coin with Nefarious! Play as the villain for a change and wreak chaos as you kidnap princesses from five different kingdoms who alter game play in unique ways. 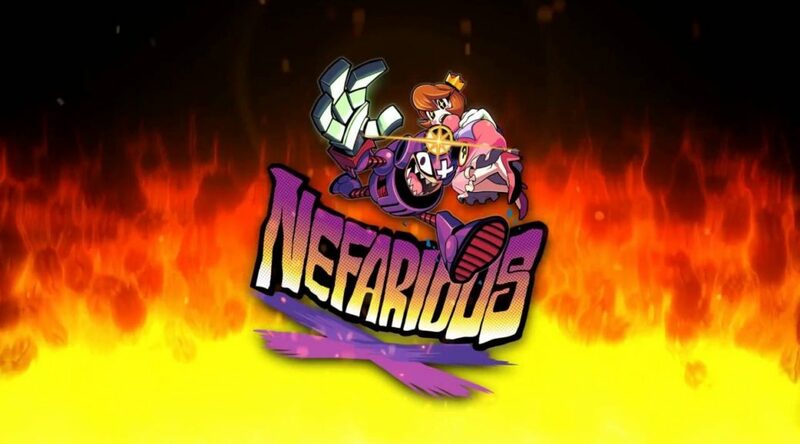 Stomp on heroes through several iconic battles recreated with you as the boss!Nefarious is a 2d-animated action platformer, where your objective on each stage is to kidnap a princess and then escape with them! Heroes will attempt to thwart you, and many things may not go quite as expected.